Home › Book Review › 5 Levels of Leadership: Connecting is key to level 2. 5 Levels of Leadership: Connecting is key to level 2. 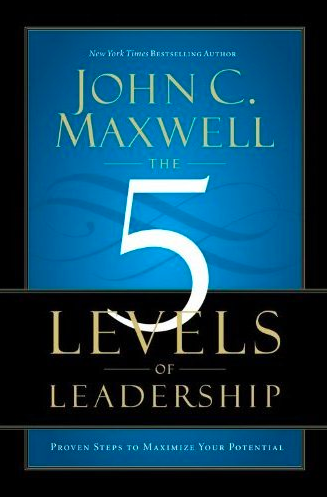 Over the weekend I read “5 Levels of Leadership” by John Maxwell. 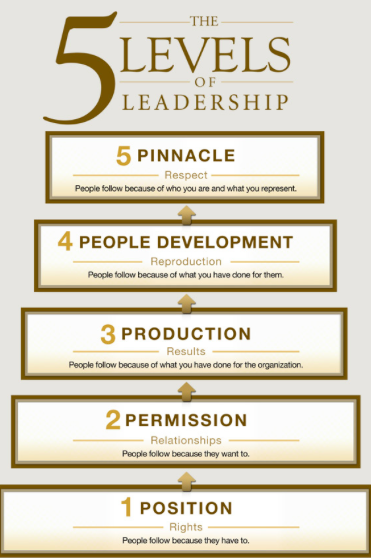 While you need to be aware of the five levels, I think this is a book you can save to read when you are first awarded a leadership role. He said, not quite. You can’t please everyone all the time. What you need to show is the willingness to connect with them. That is the key to reaching the second level. Right now I am developing the skills to improve connections at work and outside. I mentioned the dog competition this past weekend. In retrospect, I know the names of almost every dog there… but I really don’t know the any of the other dog owners. I never really had a conversation there. I am always running around making sure Sakura doesn’t poop outside the designated area, but I should at least know the name of Muffin’s owner. Muffin is Sakura’ best friend at the park. I am going to ask next Sunday. Finding common ground is important when making connections and we already have the shared interests for our dogs. According to my self assessment I am at level two right now, taking strides to level 3. I have read several authors so far and I am sure I am going to buy more books by John Maxwell. I am also interested in reading “Tribes” by the author of “Linchpin”. On a final note, I want to share something very important. The organization you work at has to foster the principles above if you are planning to climb the steps. I am fortunate enough to work for someone who has reached level four (on the way to five) and is really committed to people development. Taking one step further, the company has shown incredible support for my journey towards personal development this year. I don’t know if John Maxwell would award half points, but I think I am at level two and a half: half the people follow me because they want to and the other half because they have to.